Introduction to Springdale Quilting, featuring pictures of equipment used and a summary of the value and quality of work done. West Virginia's Finest quilting establishment. When the piecing is finished, and your quilt top reflects the colors and patterns you have so carefully chosen and stitched together, it's time to add the final touch -- professional quilting to hold all your work in place, transforming your single, beautiful layer into a quilt that will last for years to come -- warming your home, your family, your life! 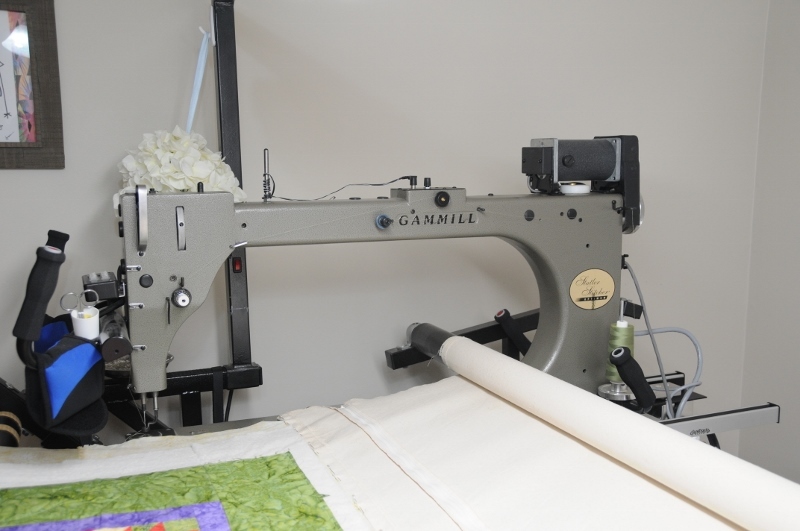 Springdale Quilting offers full-service machine quilting in a variety of styles. Our customers can choose from an almost limitless supply of quilting templates, or select a fully custom design of their own. All of the work is done on-site in our smoke free studio, by Melinda Walker, a seamstress of distinction, with years of machine quilting experience. Melinda offers her expertise in a friendly setting that reflects her love for the art of quilting and the artists who practice the craft. Everyone -- from beginning quilters just finishing their first pieced top, to veteran quilters with a handmade quilts in every room -- will feel comfortable turning their quilt over to Springdale Quilting for finishing. Melinda will talk them through their design and construction questions, help them chose threads and patterns, and insure that they are satisfied with the finished product. 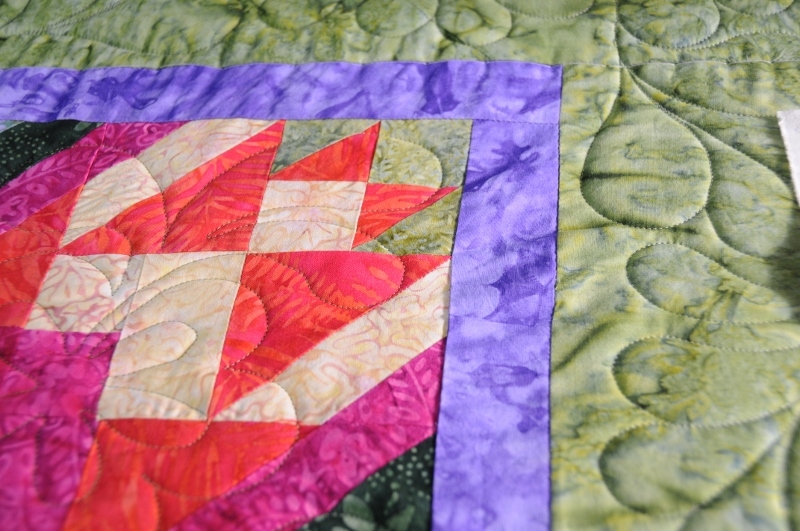 In addition to the machine quilting service, Springdale Quilting has become a hub for the local quilt community. An empty cottage owned by Melinda's family for generations has been revamped and used as a meeting place for Pendleton County, WV's Sew and Sew's Quilt Guild. And, a dedicated group of seamstresses regularly enjoys Melinda's hospitality as they gather to share ideas, swap stories, and most importantly, quilt together. A selection of quilting supplies is also available at Springdale Quilting. Springdale Quilting is nestled into a tiny valley near Fort Seybert, WV. The setting is breathtaking! But, you don't have to bring your quilt personally to Melinda. Melinda can talk you through the design process over the phone and provides detailed instructions to those who would prefer to ship their quilts for finishing. Contact Springdale Quilting today, and move your quilt from "almost finished" to "professionally finished." It's time to enjoy your handmade heirloom!